Fools are everywhere. After reading this article, you might even realize you used to be one. Unless you still are. Or perhaps you think you are wise because of your status. Maybe you're not a fool and have just been called one. So-called status and position DO NOT indicate wisdom; nor does it exclude one from being a fool. Maybe it should. But it doesn't. Not in this currently corrupt system. Religion, education, politics and the corporate world are full of fools who think they are wise. Being friends with a fool has absolutely no benefits. Being married to one would make for an utterly miserable existence. And please don't marry a fool thinking you're going to change them. That notion would reveal you as the fool. The wise recognize fools. Being able to recognize a fool will empower you to avoid many painful and humiliating experiences in your life. 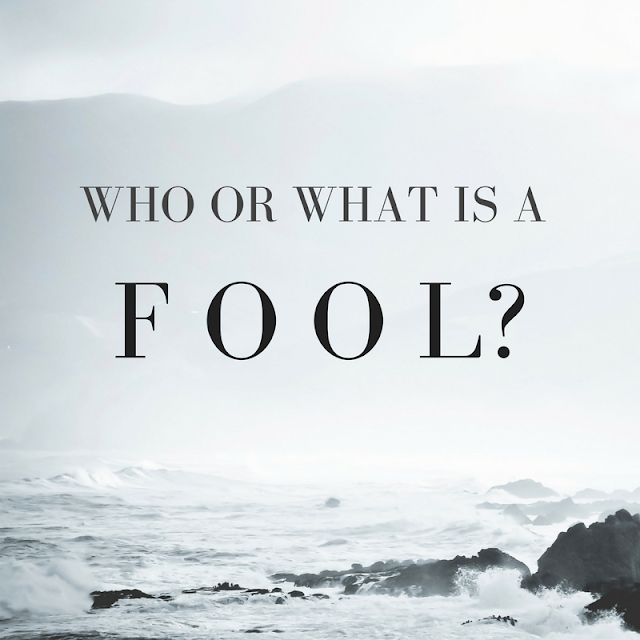 We've covered only a fraction of what scriptures say about being a Fool. All of humanity has been a fool before learning and being transformed. Much of humanity still is. Study. Research. Search the scriptures. All scriptures. And always see yourself in the books you search and study. Transformation only happens when we see ourselves --and not being pulled into the hypocrisy of pointing out someone else's missteps.